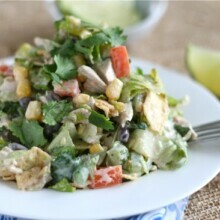 This Southwest Chicken Chopped Salad Recipe is a crunchy, fresh, salty, sweet, and creamy salad perfect for dinner, parties or by itself! Chopped salads are also all the rage. At least I think they are. And so do the folks at California Pizza Kitchen. Their bbq chicken chop salad is my absolute favorite thing on the menu next to the Chinese chop salad….and all that pizza. Basically, I want to live there. Anyways, the other day I thought I’d experiment with some leftover black beans and roasted chicken I had in my fridge. Best decision ever. 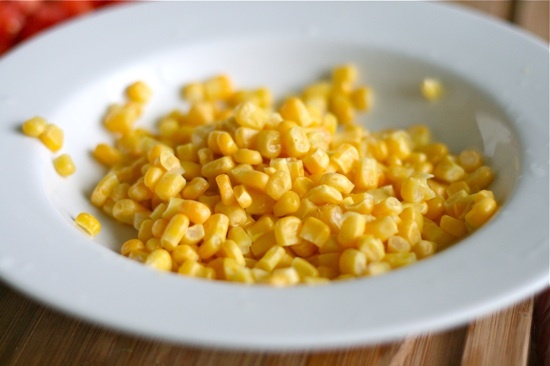 Crunchy, fresh, salty, sweet, creamy and southwesty…there’s a little something for everyone! Plus, there was no cooking involved! BONUS. 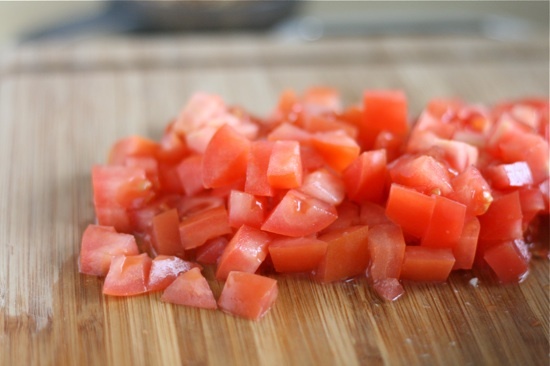 Produce such as corn, avocado, tomatoes, green peppers and of course romaine heart! All of these fill the salad and help make it southwestern. Proteins. This is chicken and black beans. IF you’re vegetarian or just don’t have chicken on hand, don’t worry about it and just add in the black beans. 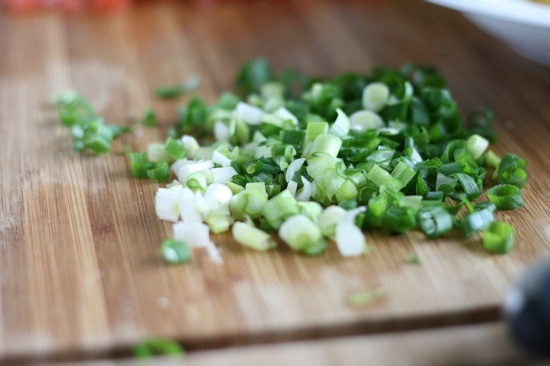 Scallions and Cilantro. These make the salad so much more flavorful! Tortillas Chips. Pick your favorite brand and add them in. They give the most wonderful crunch to this chopped salad. Homemade Dressing. This is made from ranch and taco seasoning, sour cream and mayo. It’s beyond delicious, I promise. If you’re looking for other salads, don’t look far, here are a couple of favorites: macaroni salad, cucumber salad, classic coleslaw or broccoli salad. 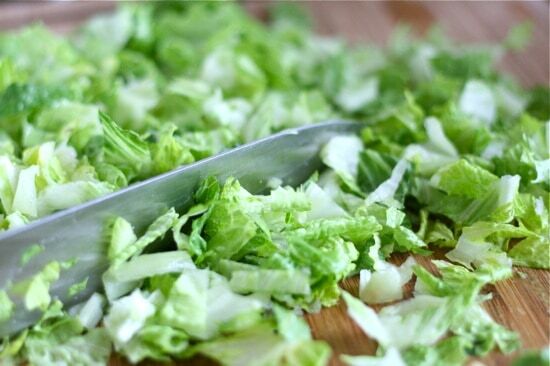 The only downside to chop salads is all that darn chopping. Go figure! For me, this took 30 minutes from start to finish. But that was with a toddler hanging onto my right pant leg while I was doing the prep and taking step by step photos. So, you should expect 20 minutes of work time, I’d say. Besides that, you should be good to go. 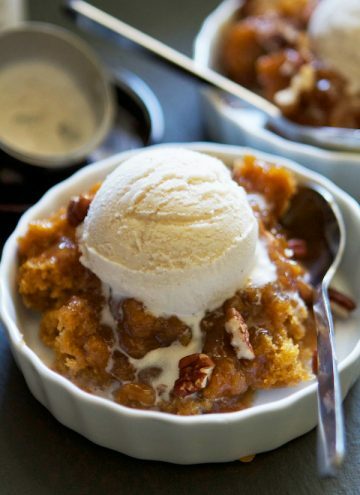 This is a really straight forward recipe and superly awesomely amazing tasting. Let the chopping begin! 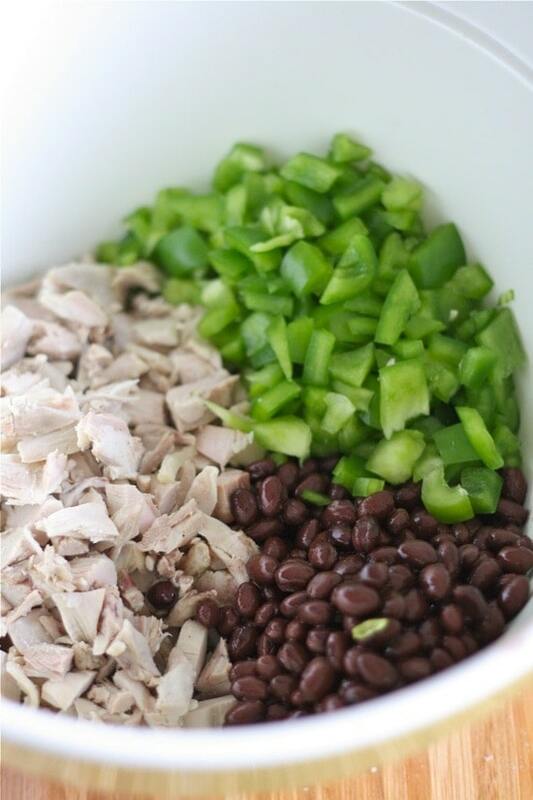 Get some chicken and green peppers chopped and in a big bowl along with some black beans. You’re also going to want to slice up some avocados too. Mmm….avocados. and pepper and salt to taste. Stir it up and voila! 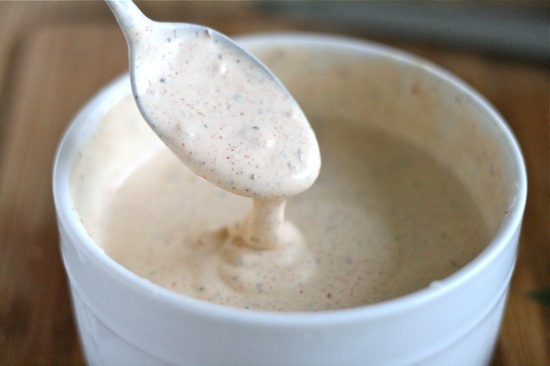 Southwest creamy dressing. Pour enough dressing over the top to moisten everything and toss. 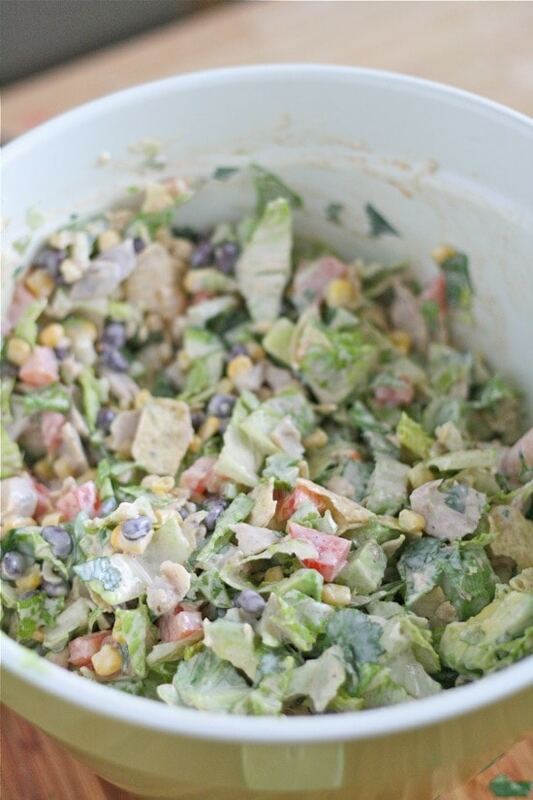 Once that dressing is mixed in, you can store the chopped salad in the fridge until you’re ready to serve. 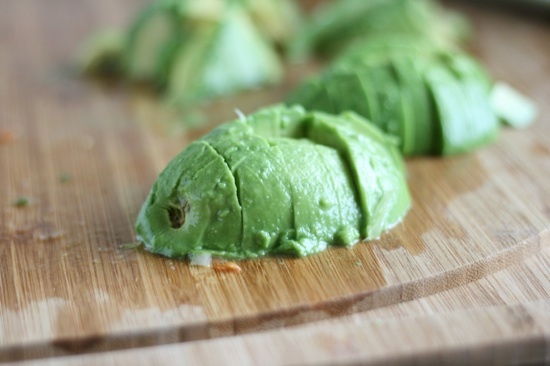 Once you are ready to devour this, stir in some crushed tortilla chips with that ripe avocados. Hope you like this one, guys! Have a great weekend! 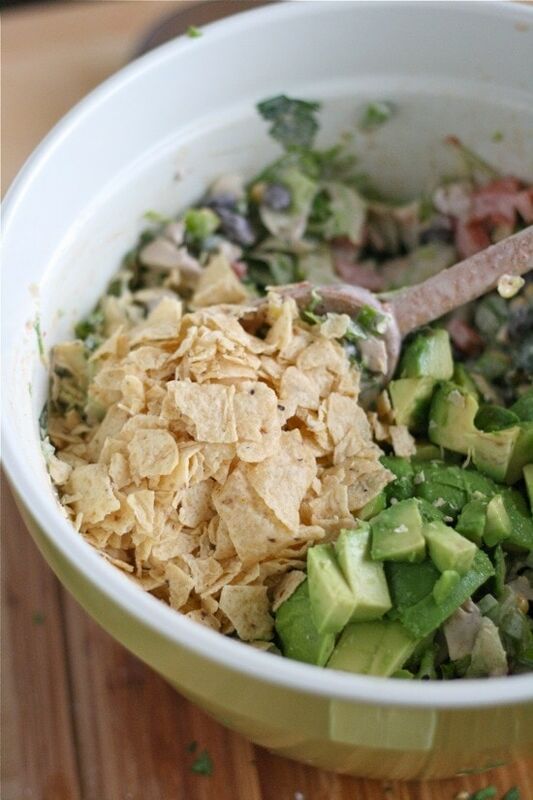 In a large bowl, stir all salad ingredients together, excluding the tortilla chips and avocado. 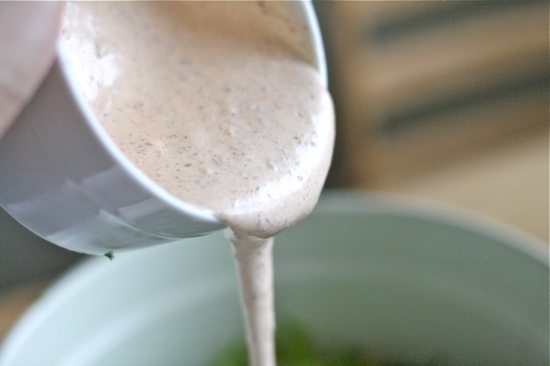 In a small bowl, stir all dressing ingredients together until smooth. 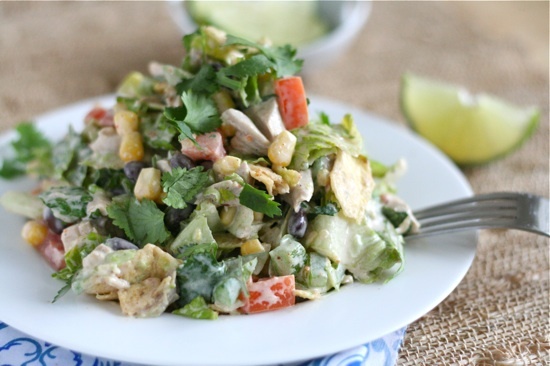 When ready to serve, toss salad with dressing then gently stir in avocado and tortilla chips. This is awesome, chopped salads are definitely all the rage. 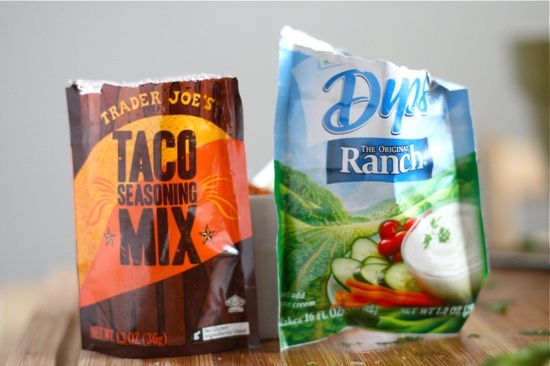 And as much as I like making homemade taco seasoning, I really love TJ’s. This is perfect! Chopped salads have the best texture and I love the combo of taco seasoning and ranch for the dressing! Oh my goshhhhhhhhh…I LOVE THIS SALAD like I love youuuuuuu..this looks sooo good and it reminds me a lot of the Cheesecake Factory’s salad dressing they use for their bbq ranch chicken salad and this other mexican flavored one jason loves..i’m definitely puttin this on my menu! Lauren, I’m convinced we were separated at birth! I am crazy for CPK’s salads, especially the Thai Crunch which I just happened to post yesterday! I also love the BBQ Chicken Salad and have had it more times than I’d like to admit! Great job on the dressing – looks great! This one looks absolutely amazing. Unfortunately the hubs never likes salad, so I guess I’ll need to make it for just me. Yum! Yum! This looks perfect! I love that you can make it up ahead and have it ready to go during the dinner rush – and it’s cold – so no individually re-heating dinner for everyone. Perfect. Ah, only to have the inhibitions of a three year old . . . .
Wow that salad looks incredibly delicious and incredibly easy to make! Can’t wait to try it out. PS Your daughter sounds hilarious and adorable. Isn’t is fantastic when they have that much energy? Hahaha I’m sure she keeps you busy. This is definitely a keeper. I have printed it out for dinner during the week. I need these quick simple meals for my family after a hard day at work. I love chopped salads because I’m ridiculously lazy and don’t have to cut anything up – bonus! Great combo of flavours here. Hooo boy, naked is all the rage here too, with my 3 year old and her copycat 1 year old brother! 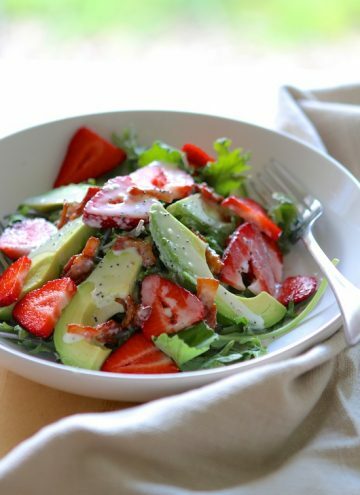 This salad looks like a fantastic distraction…head to the kitchen and leave ’em to it? LOVE, love, love your blogging and tutorials! OMG I want to eat this NOW. This sounds fantastic, especially when an outrageously hot summer decides to make an appearance this year. No cooking – always a win. The two year old across the street is constantly running around naked, yelling “Naked Party!” Clearly she’s in on the naked trend too. I think I’ll go the chop salad route. This looks delicious! Your daughter sounds like an adventure to be around! I love new salad recipes, and this one looks amazing! I could eat the heck out of this. I just kept scrolling down, yelling “YES…. YES…. YES!” You lured me in with that first photo, and it just kept getting better and better. This is the next salad on my “to do” list now. Thanks, Lauren! This looks wonderful and will be made soon. Just thought I would add that I made something similar (although I might have missed 1 or 2 of your goodies) and simply squeezed a generous amount of lime juice over it and a sprinkle of salt and pepper. That was also quite nice if you’re watching calories. Made this tonight….except *someone* forgot to buy the chicken. Oops! Very yummy without it, too! 😉 Thank you! This sounds amazing!!!! Cannot wait to try it. 🙂 Thank you for sharing…..I’ll let you know once I make it, how it turns out. Mmmmm. This is seriously DANGEROUS because I could eat the entire bowl myself. I omitted green pepper because my husband does not care for it, plus I used Tostitos with Lime tortilla chips (also addictive on their own) which gave it a little extra zing. Thanks for the great recipe. Just started following your blog. If you have young kids and like picture books, you should check out my blog. Oh, and I will gladly share with you my rice/black bean/corn salad with lime vinaigrette which is always a huge hit at barbeques–just email me. After finding this on Pinterest, I knew I had to try it. Well, we had it for lunch today and it was fabulous!! The only thing I added was a small handful of 2% cheddar cheese and I omitted the avocado (ick). We will enjoy this many times. Thanks, Lauren. I just found your blog and LOVE all things CPK and mexican! Can’t wait to try this, thanks for sharing! Lauren I finally made this last night and my whole family LOVED it! I liked that it was healthy too! We ate it all up.Thanks for the great recipe and I’d be interested in a Chinese version of a chop salad also. Keep up the awesome recipes! This salad is wonderful. I made it last night for our dinner exchange. Yum! Thanks for another super great recipe, Lauren! 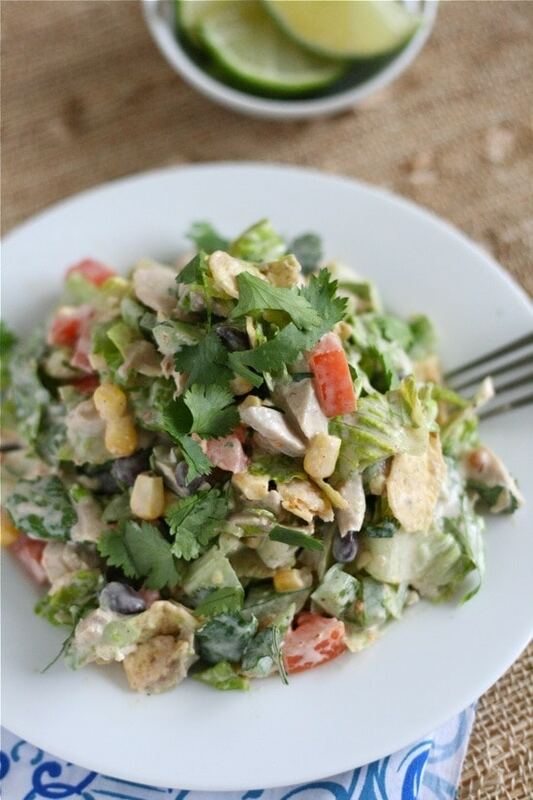 Found your recipe on Pintrest…I love CPK’s barbeque chicken salad, too, and you nailed it with this recipe. Will be great for light suppers in the hot summertime! Okayyyyyyy. This was awesome. Seriously, so delicious! Even le husband ate it all up. And, bonus, it was a perfect “pantry/fridge clean out” recipe! We’re moving in a few weeks and were looking for something tasty to use up stuff we had, and this hit the spot. 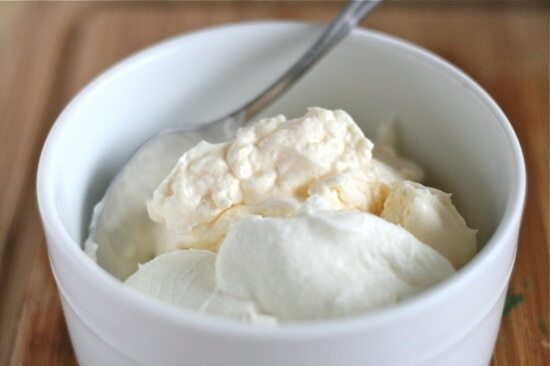 Subbed in plain greek yogurt for sour cream (again, fridge clean out!) and it was great. Just made this for lunch. DELICIOUS!!!! One suggestion is to go a little lighter on the cilantro. Other than that, what a perfect salad!! I found this recipe on Tasty Kitchen and served it when we went camping with family several weeks ago. It was a big hit!! Absolutely delicious. 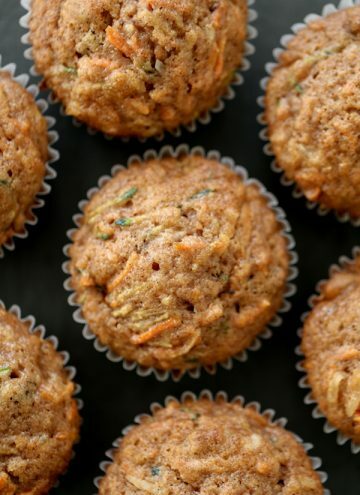 I wanted you to know that I am sharing this recipe on my blog today. I made this salad for our Memorial Day BBQ yesterday! It was wonderful and a big hit with everyone! It made a lot- I didn’t measure my chicken or lettuce, just kind of eyeballed it. So, I’m having leftovers for lunch and dinner 🙂 I used the Hint of Lime tortilla chips for fun and that was a great addition. 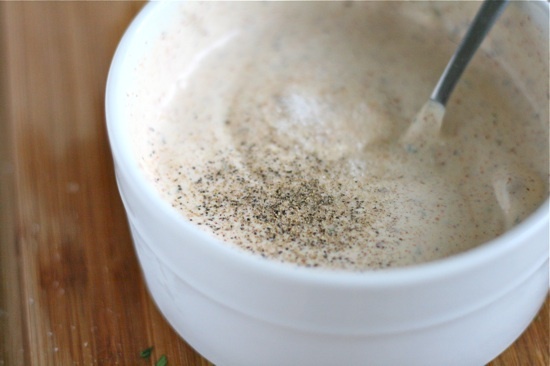 Just the mayo, sour cream and ranch (without the taco seasoning) is a delicious dip or dressing! Yum! Always looking for new salad recipes! This was really really good. I just used what I had on hand but I dont think it matters because its the dressing that really does it. I didnt have cilantro, beans, or corn (which I thought I had when I started and will definitely add next time) but I followed everything else in your recipe! SO happy I found your blog. Love these flavours! Can’t wait to try!